In order to attract new customers you need to be on the 1st page of search engine results. 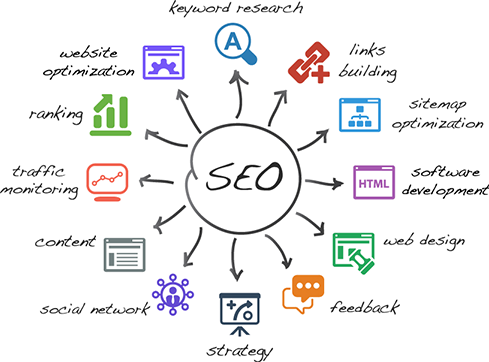 The best way to get to the top is with Search Engine Optimization, and our group of SEO Sharks are here to lend a helping fin. With our help you will generate more website visits – meaning more revenue for your business. Research : thorough research of paying customers journey, all the way from queries to conversions. Audit : identifying weak spots that need to be improved. Strategy : Creation of a strategy that is based on your business goals, your website and requirements. Execution : On-page and off-page SEO efforts are executed. Measurement : To accurately measure success, we must know what we are trying to achieve. Our measurement KPIs map to the predefined objectives, allowing us to demonstrate how the activities we undertake in a campaign are helping us move towards business objectives.